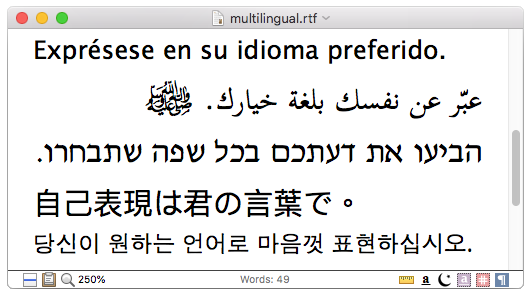 Designed as a Unicode word processor from the ground up, Nisus Writer Pro supports nearly any language. 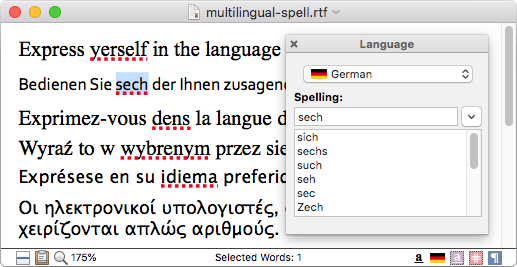 Nisus Writer automatically changes the spelling dictionary based on the language of each piece of text in your document. 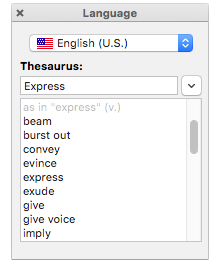 Our live Thesaurus provides alternatives at a glance (English only). Full support for right to left scripts such as Arabic, Hebrew, and Persian. 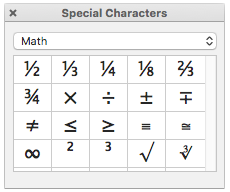 Our customizable special character tools give you access to any and all Unicode characters: mathematic symbols, currency, writing marks- even Unicode Snowmen. Read more in our user guide's help topic about Multilingual.